The lagoon-style pool hugs the front of the resort. T his oceanfront property on Barbados includes beach access and a modern outdoor pool. A rooftop deck with plunge pool provides panoramic views of Oistins Bay. Contemporary accommodations include cool white and brown bedding and large windows offering views of the beach or pool. Some accommodations at the Ocean Two Resort and Residents also include balconies. The resort restaurant overlooks the beach and drink service to guests lounging in beach chairs. The property also offers water sport facilities and a fitness center. 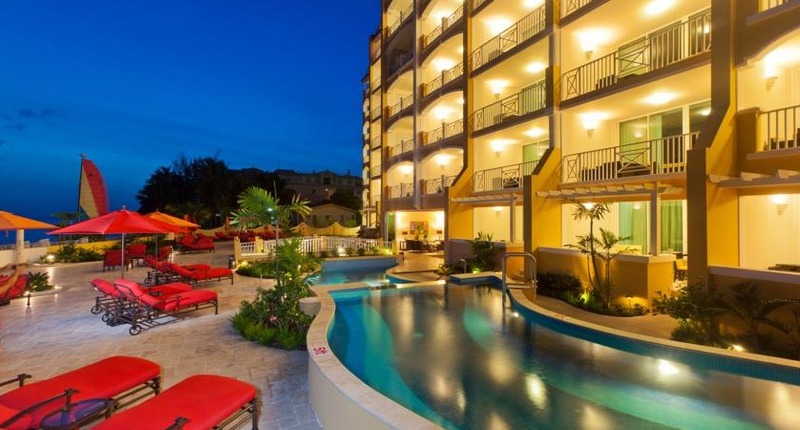 The Ocean Two Resort is within a five-minute drive of St. Lawrence Gap, with dining and entertainment. Fly into Grantley Adams International Airport , Barbados (BGI). The resort is about 15 minutes from the airport. Visit Ocean Two Resort & Residences’ website for more information.